Get the Portal 2 Soundtrack (Legally) Free! Need some special music to test science by? Valve has you covered. Valve's Portal 2 is rightly beloved by many for its pitch-black humor and mind-bending physics puzzles, but one thing that never gets quite as much attention as it really should is the game's soundtrack. Sure, other than a few bits performed by Jonathan Coulton it's never really all that notable, but it's well-composed and provides a perfect auditory backdrop to flinging companion cubes through space. 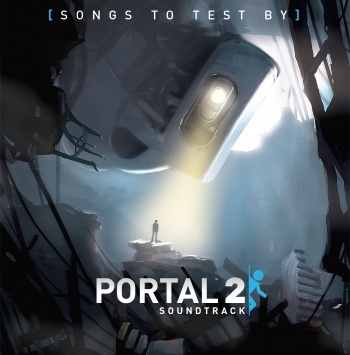 Valve wants to change that, and has released the first volume of Portal 2: Songs to Test By to the internet - for no charge whatsoever. This first volume - of a planned three - contains 22 songs which can be heard at various parts in the game. There are also some shorter tunes specifically designed to be used as ringtones for your phone. More companies need to do things like this, and it's no wonder that Valve has such strong good will in the gamer community. Now if you'll excuse me, this music has me in the mood for science.